The clever people at The Baby Industry are here to save the day! 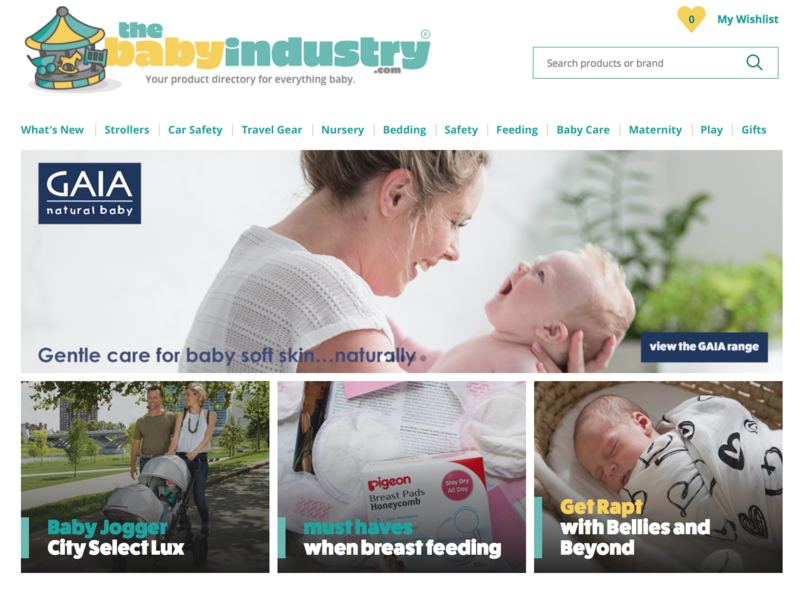 With comprehensive knowledge of baby and kids’ products garnered from over 15 years’ experience in the nursery market, they’ve built a platform designed to connect, inspire and – above all – inform parents. The Baby Industry is jam-packed with over 2500 baby products and features honest and detailed information about each nursery item. The platform is growing every day and has quickly become the go-to for nursery shopping real talk. It’s super-easy to use, with a brilliant advanced search function that allows mums and dads to narrow down their product search by age, type and more! For example, when searching for a stroller, parents can search via type of stroller – three wheeler or four wheeler, for instance – and also search for options that take in age suitability, infant seat compatibility and second seat compatibility. A sippy cup search would offer options to look at the type of cup – e.g. straw, spout, teat – as well as age suitability, volume, colour and more. The Baby Industry’s search function is designed to help parents find exactly what they need for their child’s age, stage and other preferences quickly and easily. You can then sort the search results by the highest rating, price or release date to narrow in on the nursery gear that’s best for your family. The platform also offers a really great feature allowing parents to compare products and make informed decisions. This is especially helpful when the baby marketplace is flooded with lots of excellent – and not-so excellent – product choices. Currently there are already more than 5000 product reviews on The Baby Industry, and parents are adding their thoughts on the products they use each day. Keen to help other newbie mums and dads out? Share your own insights by adding reviews for the products you use and love! Each listing provides options to take part in a discussion about the product or ask a specific question. There’s also a star rating system so mums, dads, grandparents and carers can note its ranking at a glance. Each listing offers the option to add that product to a Wishlist – or find stockists immediately and snap the item up. 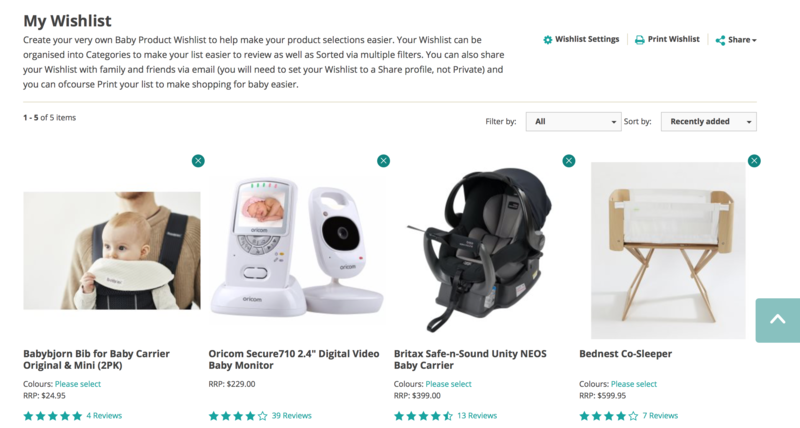 Wishlists are brilliant for collating the things parents really want and need for their baby into one easy-to-navigate page. The Baby Industry Wishlists can be kept private for parents’ own reference – or made public so they can be shared via email or with a unique link sent to friends and family. No wonder this site has fast become the internet’s go-to for nursery shopping. It’s genius!